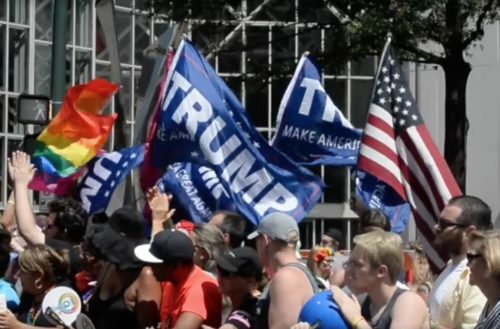 Charlotte Pride organizers declined a request to allow Republican LGBT group Deplorable Pride a “Gays For Trump” float in their 2017 parade. This decision caused roughly a dozen LGBTQ Trump supporters to protest alongside the annual parade on Sunday. Both Fox 46 and the Charlotte Observer estimated there to be a dozen protestors at the Deplorable Pride counter protest. It’s possibly it was baker’s dozen, however, bringing the number up to an astonishing 13. “Banning voices is un-American,” one poster in the group read. 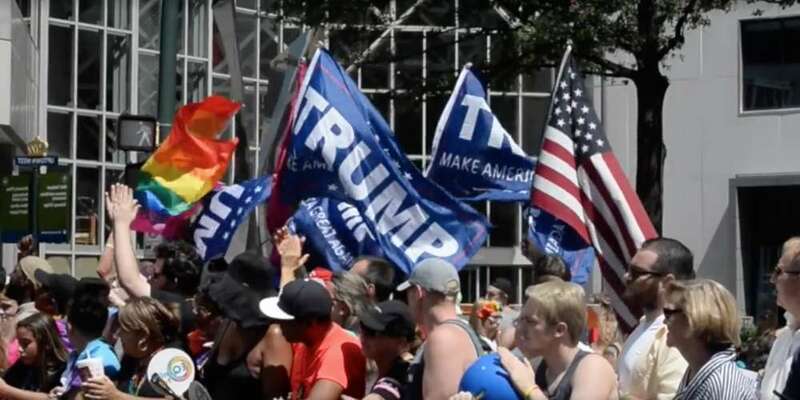 “Charlotte Pride claims to be inclusive but they are excluding us because of our political beliefs,” one protestor told Fox 46. The 2017 Charlotte Pride parade set a record as the city’s largest annual parade. Nearly 5,000 people registered to march, representing everything from Charlotte’s biggest banks to its gay bars and some of its churches. Charlotte-Mecklenburg Police estimated approximately 130,000 people came out to the two-day LGBT festival and parade over the weekend.